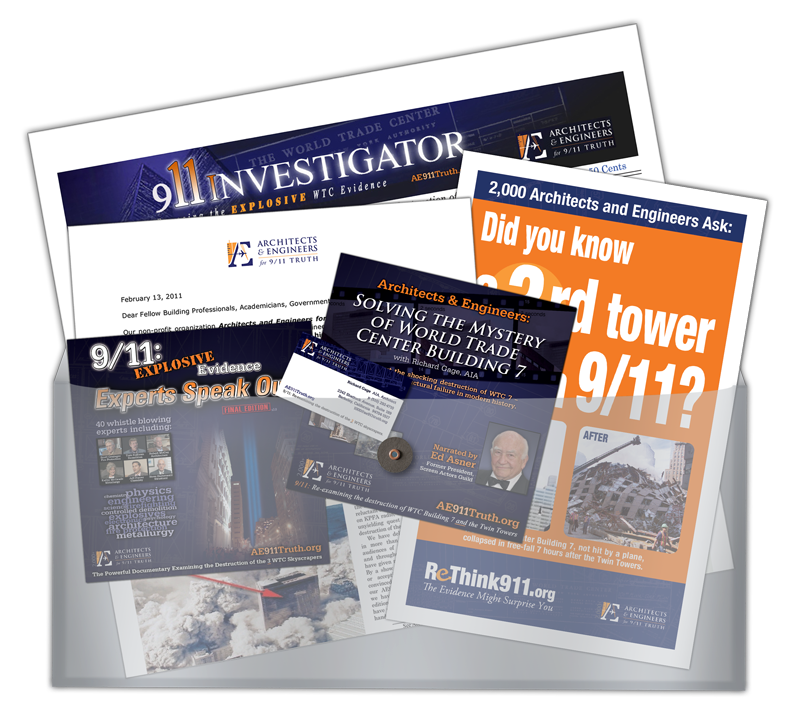 This September AE911Truth will release its first ever comprehensive guide to the World Trade Center evidence — a 50-page booklet titled BEYOND MISINFORMATION: What Science Says about the Destruction of World Trade Center Buildings 1, 2, and 7. Once it is unveiled, this authoritative guide — designed to bring together the most compelling evidence into one easy-to-read, professionally produced document for laymen and technical readers alike — will be permanently available as one of AE911Truth’s main resources. I was impressed with this!!! This is the set of literature they gave to every member of the Senate and House. Joe on Thu, 07/02/2015 - 7:37am. I chipped $20 in today and let's see how much OT I can get since there are 3 pay weeks for me this month. I imagine the list of recipients starts with those who voted on the WTC7 resolution. dtg86 on Thu, 07/02/2015 - 11:15am. Cool packet. Dang, I know at least some of the office folks will look at those packets. Packets to every member of the House and Senate - Man, that is using both barrels of a shotgun! TomT on Thu, 07/02/2015 - 1:52pm.